New neuroimaging research has found that depression is associated with abnormal function in an area of the brain known as the medial prefrontal cortex. The study, published in the American Journal of Psychiatry, investigated how the medial prefrontal cortex interacted with other areas of the brain in depression. “I was keen to explore the connection between recent brain findings in depression and the disturbances in the way the self is experienced in depression. Imaging studies over the past 10 years have shown that brain regions that are involved in self-related processing are often affected by depression, and it seemed possible that the two sets of findings were related,” explained Christopher G. Davey of the University of Melbourne, the study’s corresponding author. 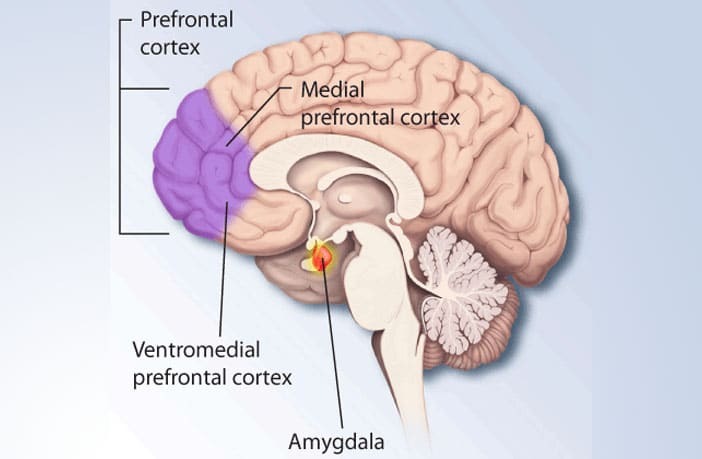 Davey and his colleagues were particularly interested in the medial prefrontal cortex because previous research had found that this region was associated with self-consciousness and self-related mental processes. The researchers used functional magnetic resonance imaging (fMRI) to compare the brain activity of 71 unmedicated depressed participants to the brain activity of 88 healthy control participants. While undergoing the brain scan, the participants completed a self-appraisal task in which they were shown personal adjectives such as “lucky” and “skeptical” and then asked whether the words accurately described them. The researchers found that the medial prefrontal cortex helped to coordinate self-appraisal processes by regulating activity in another area of the brain known as the posterior cingulate cortex. 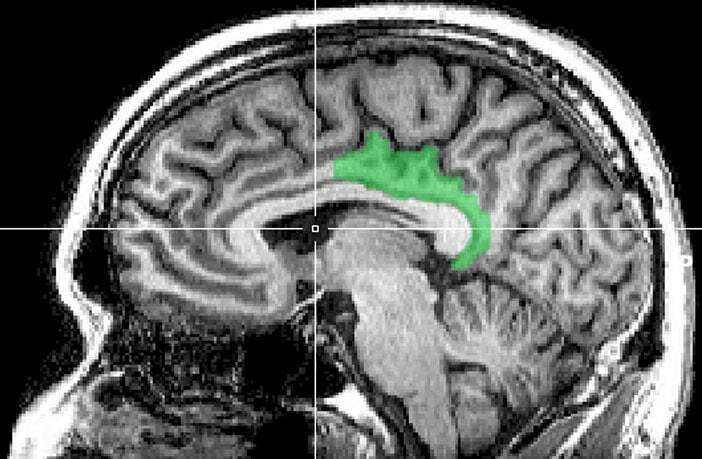 Among depressed participants, the medial prefrontal cortex had a greater influence over the posterior cingulate cortex. The study was cross-sectional, meaning that the researchers cannot make inferences about cause and effect. The study, “A Brain Model of Disturbed Self-Appraisal in Depression“, was also co-authored by Michael Breakspear, Jesus Pujol, and Ben J. Harrison. It was published online June 09, 2017.